2004 Annual Excellent Teacher of SJTU by Shanghai Jiaotong University, Issued date: May of 2005. 2003 Annual Excellent Teacher of SJTU by Shanghai Jiaotong University, Issued date: May of 2004. X. Sun, L. Zhou, J. Xie, Z. Zou, L. Lu, H. Zhu, X. Li, and J. Chen , “Tunable silicon Fabry-Perot comb filters formed by Sagnac loop mirrors,” Opt. Letters 38(4), pp: 567-569 (2013). X. Sun, L. Zhou, J. Xie, Z. Zou, L. Lu, H. Zhu, X. Li, and J. Chen, “Investigation of Coupling Tuning in Self-coupled Optical Waveguide (SCOW) Resonators,” IEEE Photon. Technol. Lett. 25(10), 936-939 (2013). Z. Zou, L. Zhou, X. Sun, J. Xie, H. Zhu, L. Lu, X. Li, and J. Chen, “Tunable two-stage self-coupled optical waveguide (SCOW) resonators,” Opt. Letters 38(8), pp: 1215-1217 (2013). 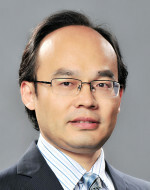 L. Lu, L. Zhou, X. Sun, J. Xie, Z. Zou, H. Zhu, X. Li, and J. Chen, “CMOS-compatible temperature-independent tunable silicon optical lattice filters,” Opt. Exp. 21(8), pp: 9447-9456 (2013)..
Xinwan Li, Intelligent desert: the key to understand of desert, together with the introduction of the project on sand dust monitoring and desert information detecting in hinterland of desert by International S&T Cooperation Program in China (ISTCP) (2011DFA11780), Dec.4, 2011, Xi An Jiaotong Univ. Xinwan Li, Intelligent desert: the key to understand of desert, together with the introduction of the project on sand dust monitoring and desert information detecting in hinterland of desert by International S&T Cooperation Program in China (ISTCP) (2011DFA11780), Dec.5, 2011, Lanzhou Univ. Photonic on Chip: Silicon based nano photonics seems to be a quite candidate to play optical signal process functions, including optical delay, optical modulating, and filtering, etc., which will enable the high data rate transmission up to 100Gbps/channel, high capacity routing up to 1Pb, and lower cost fabrication. By the way, it will also lead to many other applications, such as Photonic Analog-to-Digital Converter(PADC), Arbitrary Waveform Generation(AWG), Microwave/RF photonics, Optical Comb generation, super band laser source. We will study kinds of optical signal processing chips on silicon to some typical applications. In this area, lots of key projects available in our group, e.g. 973 program, 863 Program, NSFC, etc. Optical Fiber Sensor Network: The application history of optical fiber sensor(OFS) is longer than that of optical fiber communication(OFC), however, the application of OFS is very slow in comparison with that of OFC. There are many reasonable factors, part of them are few attentions/studies on sensors networking and sensor standardization, etc. We can learn lots of successful experience from OFC study. The aim is to support mountains of sensors at lower cost. Some applications projects from industry support this research area. Intelligent Desert: The desertification is west area of china is quite serious, even affect the eastern area. The bottle neck of it is short of information of desert. Currently, we try to integrate robot, electronic /optical sensing technology, PV cell, and wireless sensor network, microwave long-haul transmission, and to get the real time information of sand-dust in desert hinterland. In this area, one International Cooperation Project from Ministry of Science and Technology support this research area.